When Soviet soldiers faced cold days and nights standing guard outside the Kremlin, they didn't blink. 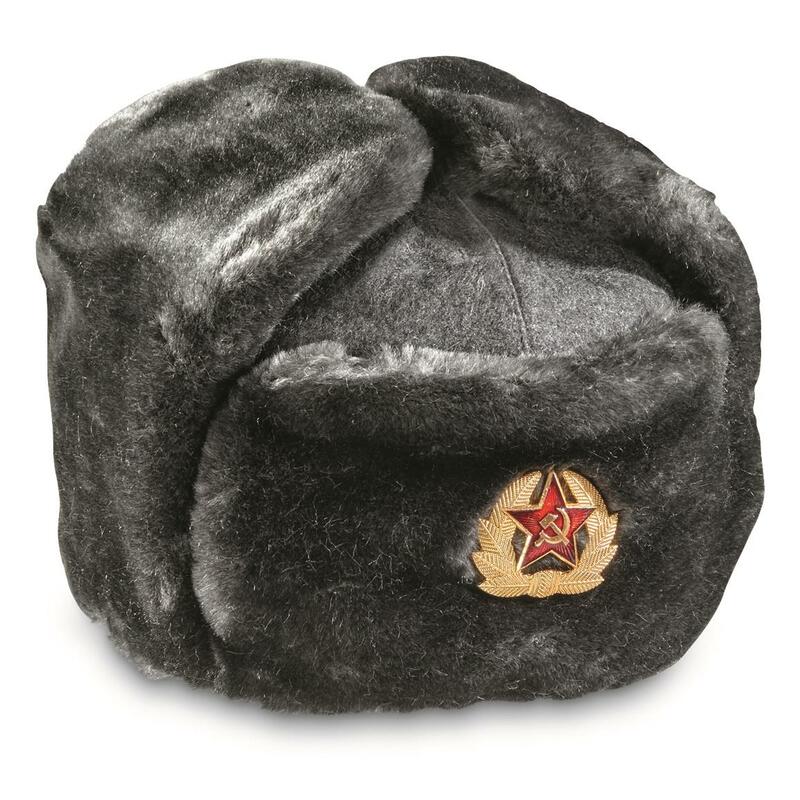 They bundled up, put this Kremlin Guard Ushanka Hat on top of their heads and went on duty. It has a wool with Black synthetic fur outer and soft quilted-nylon lining. 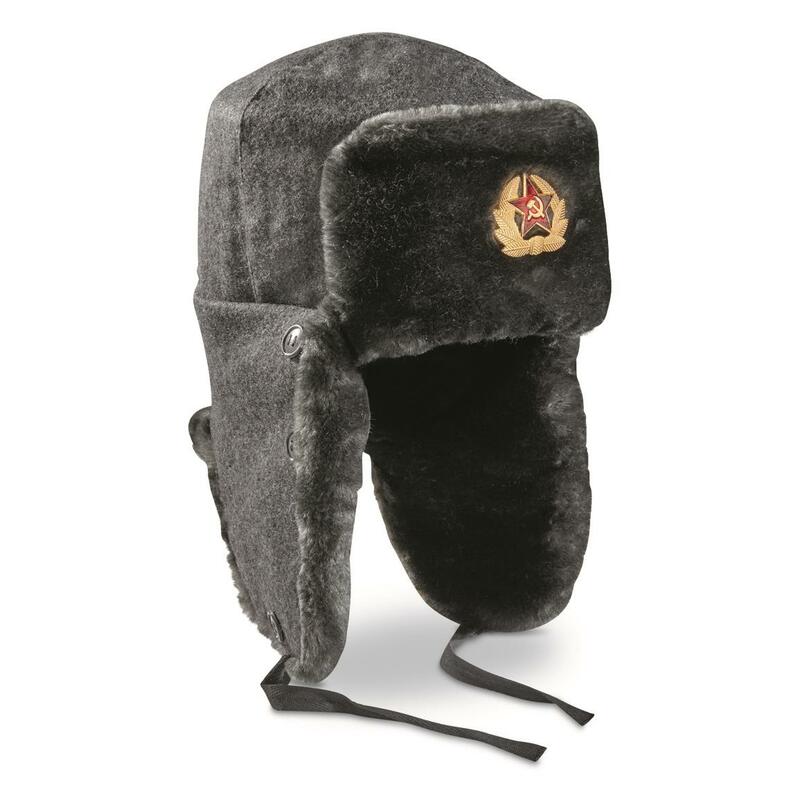 The fold-down ear flaps are a hallmark of this Hat, and they do the job in keeping ears warm. What's more, each Hat includes a communist symbol. The badge on the front features the red star and hammer and sickle. Be like the Soviet soldiers. Don't blink when it comes time to start the car or shovel your driveway in the dead of winter. Stare it down, put on this Hat and get out there.